Gone are the days when men are known to not care about how they look. After all, women are more attracted to men who know how to take care of themselves and are successful in their chosen career paths. 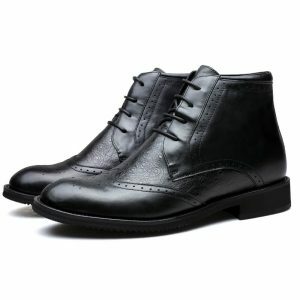 While tall men continue to dominate the workplace – studies show that men above the average height are more inclined to be successful and richer compared to men below the average – you, a man who is considered by society as the average man can go beyond society’s notion with a pair of elevator shoes. Elevator shoes are just like your regular shoes but with additional height. 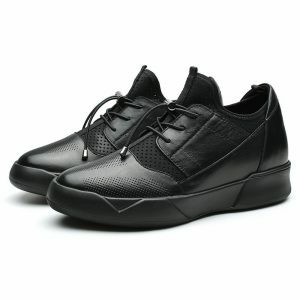 The invisible elevator shoes have “lifts” hidden between the insole and the outsole. These lifts can add height up to 5 inches or more, depending on the shoe design. Furthermore, they are designed to make the man be comfortable while spending a whole day outside without feeling bothered by the lifts. Are there elevator shoes near me? Did you know that purchasing a fresh new pair of elevator shoes is as easy as clicking? Visit Chamaripa Shoes, a shoe brand dedicated to selling excellent quality and comfortable elevator shoes, fit to different styles and personalities of men who simply want to look tall. They have a wide range of 2 inches to 6 inch elevator shoes available in their website all ready to be worn on a regular basis. As a sartorial man, you need to equip yourself and your closet with essential shoes to stay ready at all the upcoming events you have to attend to. One of these essential are dress shoes. 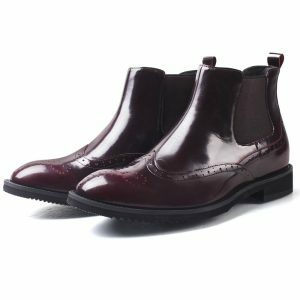 They come in variants of styles and looks, from oxford shoes to slip on to dress boots, and you need all of these in your closet to maintain your dapper persona. 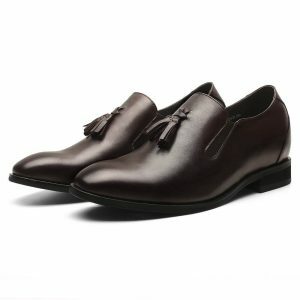 As you age, you realize that having a pair of brown shoes is as important as scoring a new pair of limited edition sneakers designed by an athlete. 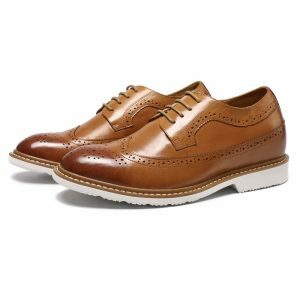 Just like black oxford shoes, you would need a good pair of brown formal shoes that you can wear in daytime events and pair with your newest navy blue suit. This way, you will look dashing and unexpected. 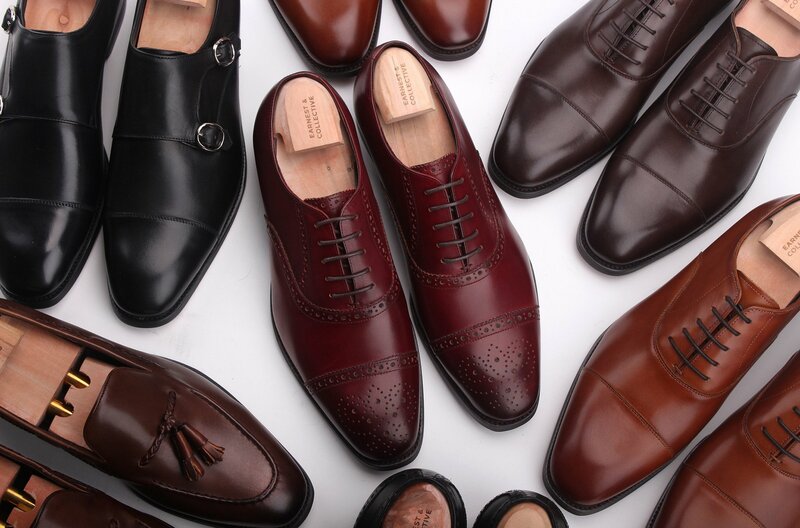 Just like brown shoes, it is important for every man to keep a pair of patent leather shoes in their closet. 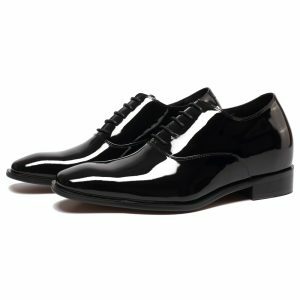 Truly, you wouldn’t know when it is time for you to rest your everyday oxfords in exchange of patent leather while sporting a dapper tuxedo tailor-fit for your size. With or without shoelaces, you need to own a pair of boots that can go for formal and casual events. Wearing a pair of leather boots increases your machismo image and it elevates not just your height, but your street style credibility as well. You can pair it with a pair of tapered pants and a worn-out shirt and still make a stylish splash. You can even wear a burrow hat and look like you’re from a classic film. Like it or not, we cannot live a life wearing formal shoes all the time. We need sturdy pairs of casual shoes when we go grocery shopping or while having a quick coffee run at your favorite café. Most men are on-the-go and we need to realize that the bustling city where we live won’t be the most comfortable scenario for us, most especially for our feet. 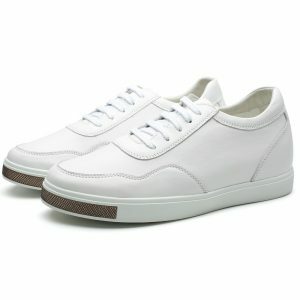 While it is common to own a pair of white sneakers, did you know that you can actually buy a trendy pair with lifts? 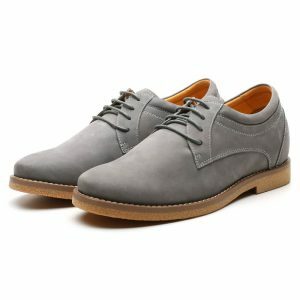 Aside from white sneakers, men can also achieve greater heights with a trusted pair of casual dress shoes. 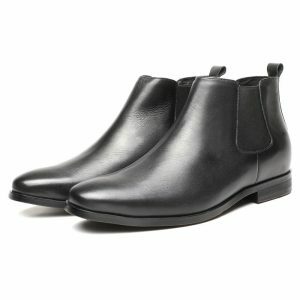 These are similar to dress shoes but are more designed for the streets on a casual Saturday. This type of design is best paired with a crisp short sleeved button down shirt and khaki chinos. Moreover, men should still maintain a cool vibe even after hitting the gym. Looking after an hour of sweating can be attained with a pair of casual sneakers you would not want to keep wearing your gym shoes after 30 minutes of treadmill. Short men should not feel inferior because they do not have a Thor-like height because almost anything is possible if you believe. You can be as tall as the tallest guy in the office with a pair of elevator shoes, and yet no one will suspect with the sudden change in your height. Being tall is a physical attribute, but it can also be a mental state of mind.